In 2011, Prof. Axel Feller, Dr. Dirk Richter and myself started the concept of the SOS meetings. The idea was to organize a meeting which deals exclusively with complications in aesthetic surgery. Today the format is the same like in the beginning, demonstrating live surgeries and failed aesthetic procedures from all parts of the body, performed by well-known expert surgeons. This intense practical part will be followed by lectures and panels on the second day of the meeting. I will ask the panelists to focus on new as well as preferred techniques in the different fields. Eight years ago it was much easier to organize the most interesting part of this meeting, the live surgeries. Due to national restrictions it has become challenging getting a medical work permit for colleagues from abroad, but Dr. Dirk Richter, Prof. Christoph Heitmann, the successor of Prof. Axel Feller and myself are trusting that also in April 2019 we will have a great international faculty, who will show you their concepts of salvage procedures – in addition, cases from last year will be discussed. You are warmly invited to send me some of your problem cases anonymously, or if you wish you can present them by yourself. I am certain that after the successful SOS meeting in Cologne 2017 you will also enjoy the next one in Stuttgart. I look forward to welcoming you in April 2019. Be part of the Triple Congress! 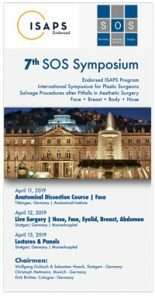 Combine your participation in the 7th SOS Symposium with either the RSE Meeting on Monday or the 27th Rhinoplasty Course from April 9-10, 2019. 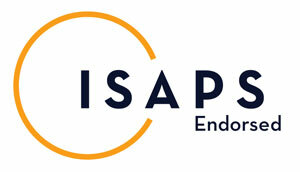 On April 8 the 8th Annual Meeting of the Rhinoplasty Society of Europe will also take place in the Marienhospital. From April 9-10 the 27th Rhinoplasty Course will also take place in the Marienhospital. We are holding a block of rooms at the following hotel exclusively for conference participants. Book yours with the keyword „congress“ until February 22, 2019. Book yours with the keyword „congress“ until March 06, 2019. The Anatomical Dissection Course is only bookable in combination with the 7th SOS Symposium!